I found quite a number of reviews about this hole-in-the-wall nonya kiosk, and most of these are negative reviews. They mainly complained about their bad service and some felt they were too pushy for sales. Even so, there was quite a queue when i was there for lunch. There are only a few tables laid out along the walkway thus very limited seating capacity and if you come during lunch, you are likely have to wait for table. 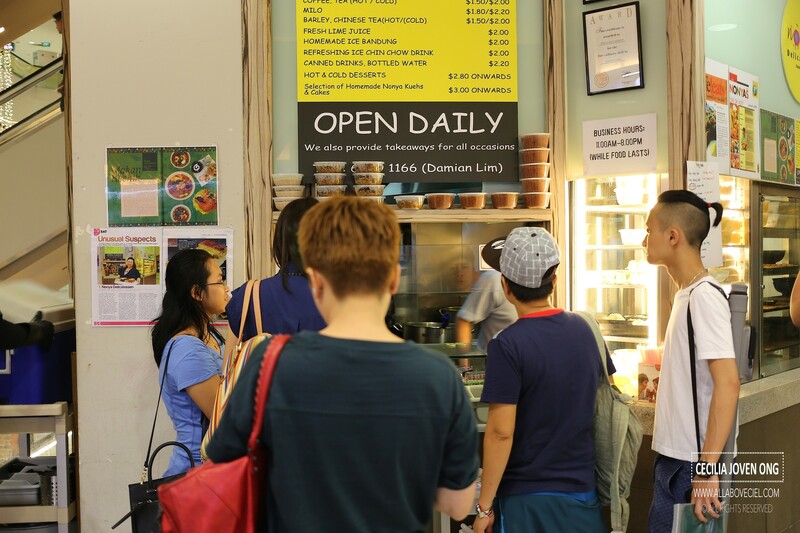 They are famous for their Mee Siam ($5), Nonya Laksa ($5) and Nasi Kunyit ($7), not all of these are available everyday though. I was with a friend, we waited for about 15 minutes for a table before i proceed to join the queue. It was a short wait before i got to order. I was served the sample of their Nonya kueh before i even got to order then followed by a sample of their Banana Cake and their Hae Bee Hiam. The boss was telling me how good is their Hae Bee Hiam and how painstakingly they made it themselves. Both the Banana Cake and Hae Bee Hiam tasted not bad but it is priced at $10 for quite a small portion, it did not seem to be quite worth it. 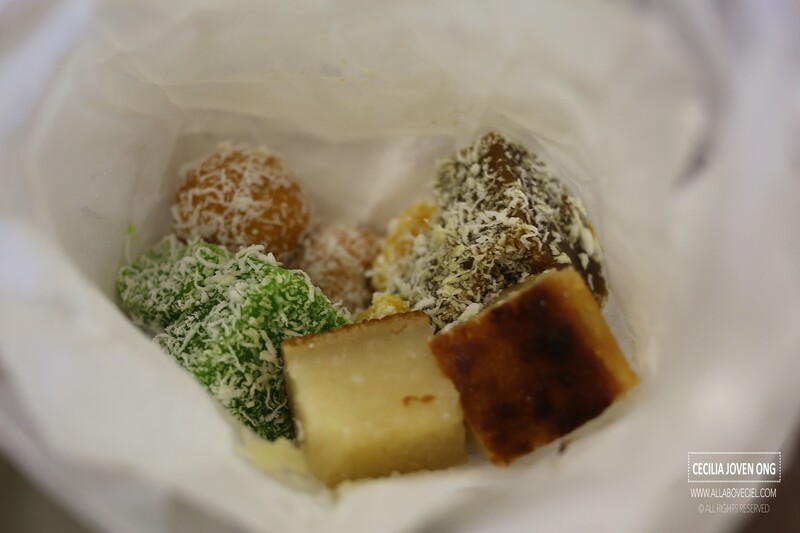 Their Nonya tasted good as well when i told him so, he initiated i should grab some to go and before i agreed, he started packing it by putting 2 of each from their different types of kueh into a paper bag. He did not seem to be too happy when i refused to get their Banana Cake and Hae Bee Hiam. Well, i might be too sensitive. While waiting at the counter to collect my order, i got my packet of kuehs and also Nasi Kunyit and i actually thought he has forgotten my order. When i tried to remind him of my Nonya Laksa, he said, "My brother is preparing it la!". He did not sound too patient. He is calling almost every customer 'Hello Dear!' or 'Brother' and 'Sister'. 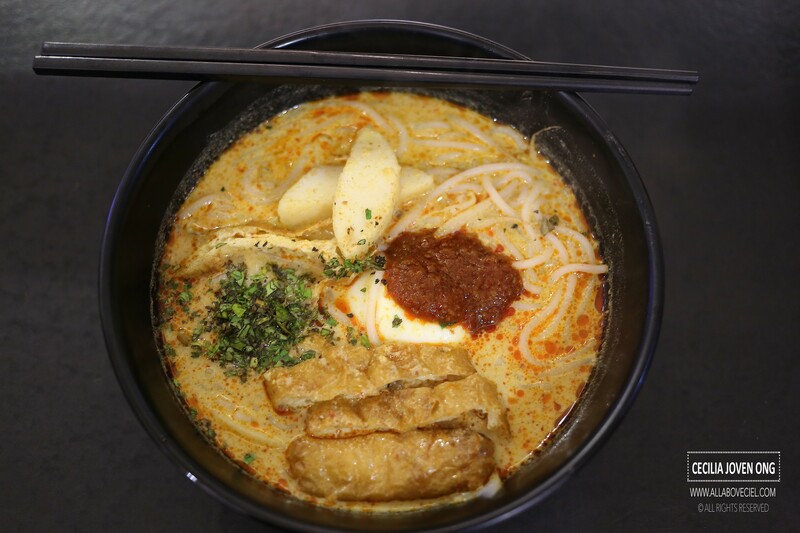 The Nonya Laksa did not taste too impressive. The gravy is a bit watered down with a slight hint of coconut taste and not too creamy. Though added with chilli but the level of spiciness was rather mild. It was served with a few pieces of tau pok and fishcake, a half-boiled egg and garnished with chopped laksa leaves. 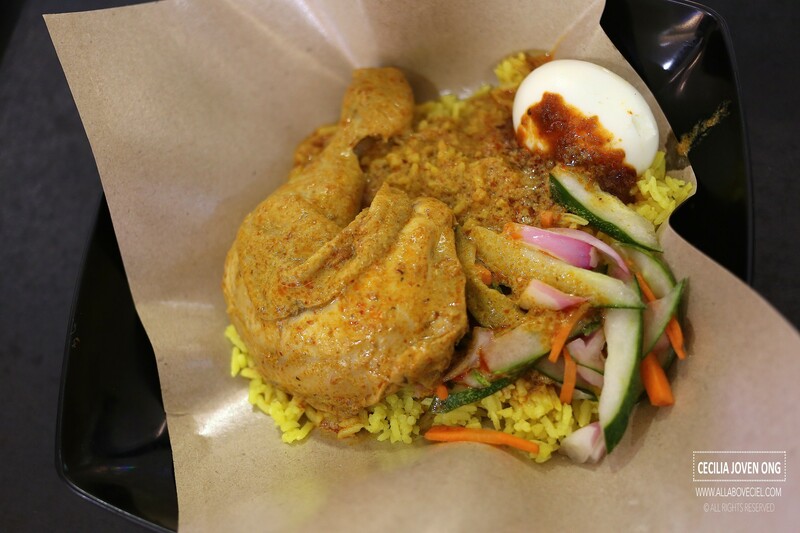 Nasi Kunyit is rice cooked in coconut milk and turmeric, it is supposedly to be a rather significant celebratory dish for Peranakan and they usually prepared during their special occasions. 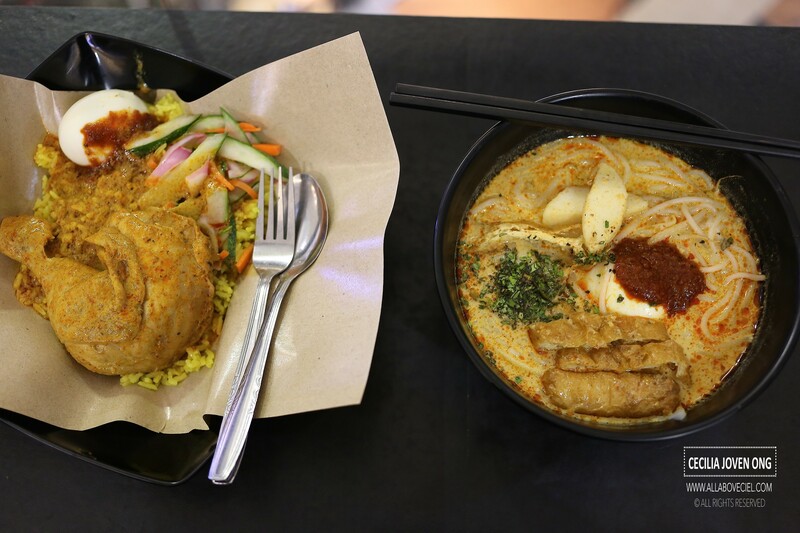 It is served with Chicken Curry and Achar and a hard-boiled egg with sambal. 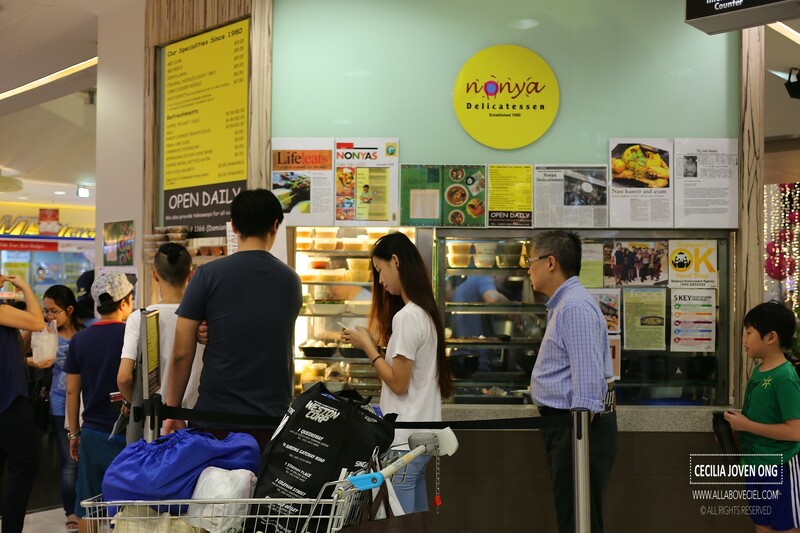 Apparently, all their Nonya kueh tasted nice. I would not mind having it again if i happen to be there but their aggressive sales tactics are a bit turn off and not quite bearable. Western Barbeque : How good is it?